We "Superstitch Wires" are engaged in manufacturing, wholesaler and exporting a high-quality assortment of Copper Stitching Wire, Brass Stitching Wire, GI Stitching Wire and much more. We have many firsts to our credit. We are the first to indigenously manufacture stitching wire. 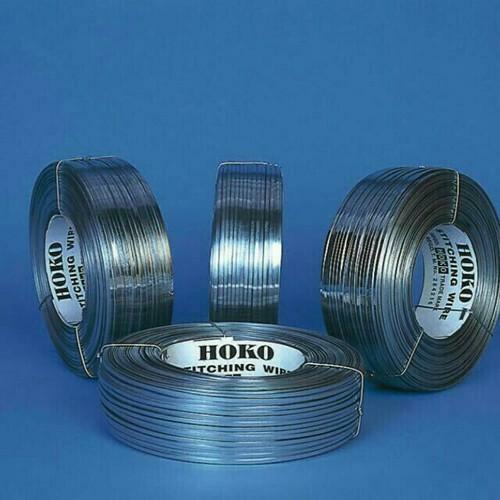 We are the first to introduce HOKO Brand ‘Rust-Resistant’ stitching wire. Our ‘Rust-Resistant’ variant has been widely accepted by the industry. It has been tested and approved by the renowned Indian Institute of Packaging, Mumbai and has also won us the prestigious ‘India Star Award’ for 'Excellence in Packing' and 'Quality Approach'.